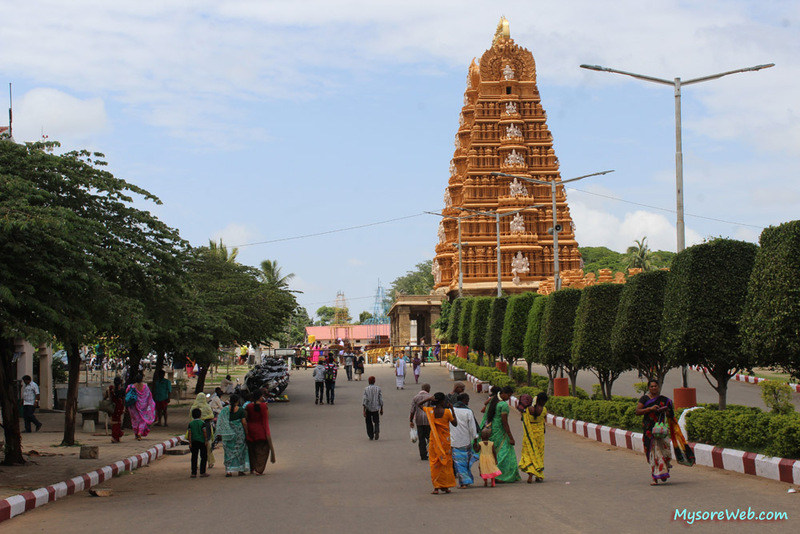 The Srikanteshwara temple in Nanjangud is one of the ancient temples near Mysore. Also referred to as the Nanjundeshwara temple, this is one of the oldest temples in India dating back to 325 – 1000 CE (according to temple website). This temple is also popular as Dakshina Kashi. We visited this temple on a Saturday morning, about two weeks ago. I assumed that the Shiva Temple would be crowded due to the weekend. Fortunately, it was not. We were not aware about the temple timings either. Our only plan was to be in Dakshina Kashi by 9 am. Mysore to Nanjangud is about 23 kilometres, a 30 minutes’ drive. It depends upon how one travels. The road is good now. There was a time when this road was pathetic and one had to be cautious enough while driving to avoid road accidents. There are plenty of government buses plying to Nanjangud from different cities and towns. There is also a rail link from Mysuru. 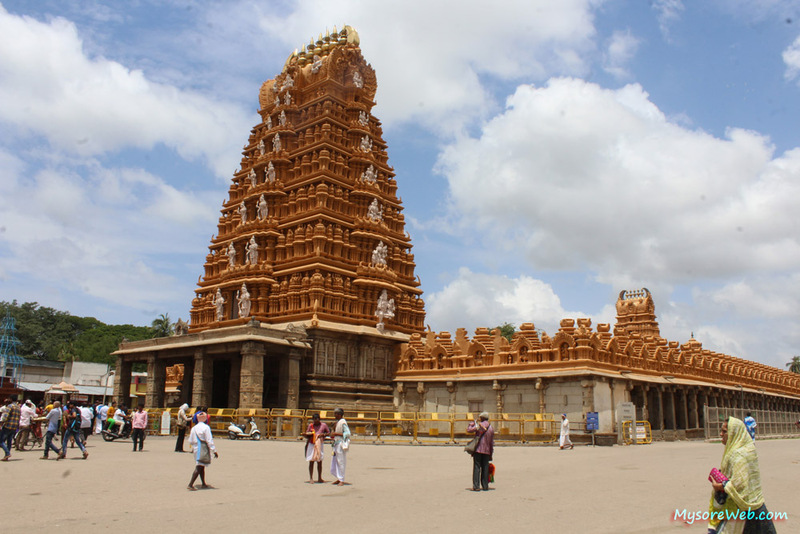 If you are planning from Bangalore to Nanjangud, it is possible for a one-day trip. However, if you could make it two days, nothing like it. The reason is to avoid stress and plan for sightseeing in Mysore. My friends were coming from Bengaluru by bus. I picked them from the Mysore bus stand and headed straight to the Nanjundeshwara temple. The distance between Bangalore to Nanjangud is about 170 kms. We reached Nanjangud by 8.45 am. 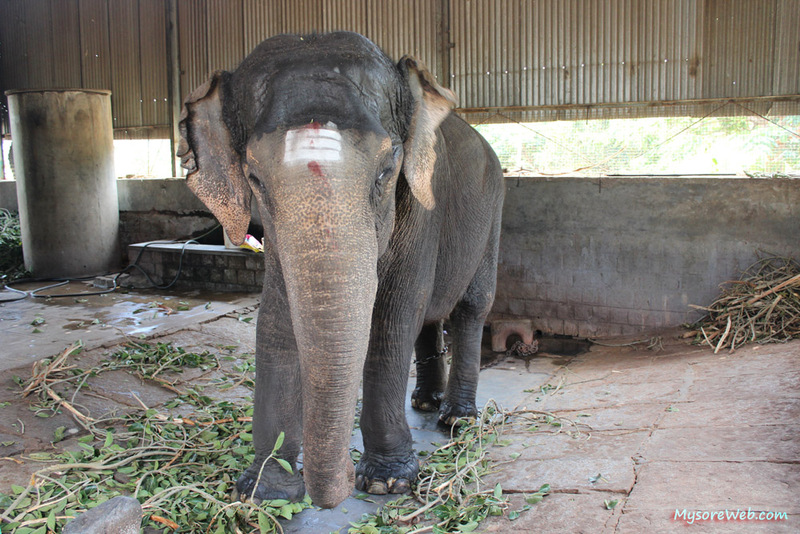 After spending few minutes at the banks of Kabini River, we headed towards the main temple. Although we were done with the rituals in about 30 minutes, we spent some time in the temple complex. We had a good time with the elephant stationed next to the temple. 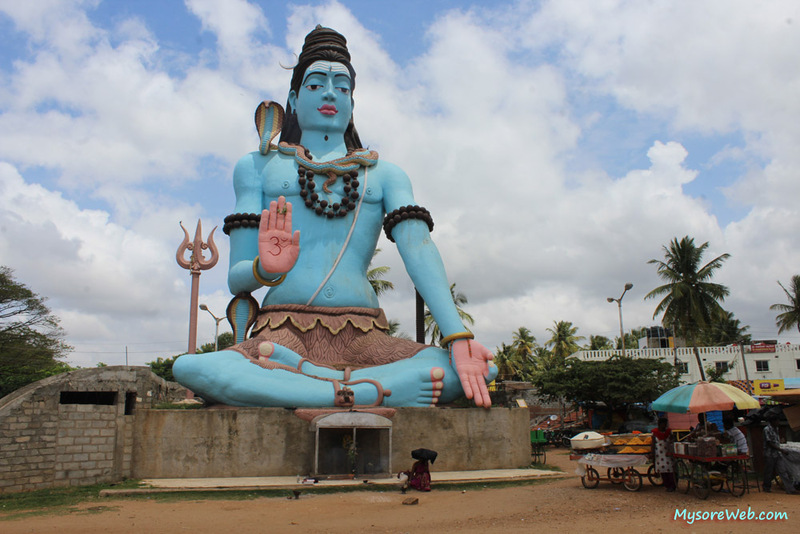 The giant statue of Lord Shiva is something that one should not miss to see. In fact, nobody can miss it. It is that big! If you happen to be here, do not forget to take a selfie. Nobody will restrict you. My friends did not stay in Mysore though I insisted them to stay. I dropped them in the Mysuru bus stand. They left to Bengaluru in the next bus. If you are planning to explore this part of Karnataka, you can make Mysuru as the hub and explore the surroundings like Srirangapatna, Nanjangud and even Bandipur. This blog is more about Mysore Tourist Places. Do follow the link explore Mysuru. If you are Twitter fan, follow us on Twitter. Do you have something to share about Mysuru?